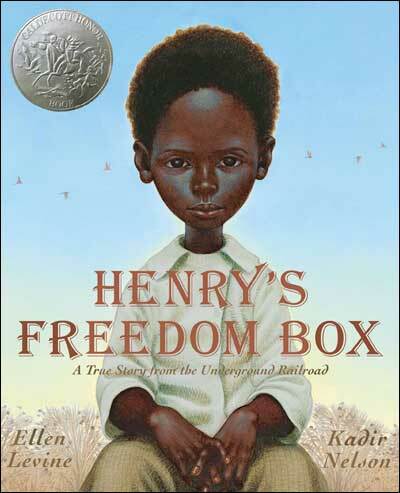 Henry's Freedom Box tells the true story of Henry, a young boy who grows into a man under the harsh conditions of slavery, all the time yearning to be free. After he is separated from his family for the second time (once as a son, once as a father), Henry comes up with the idea of mailing himself to freedom in the north. What an inspirational, thought-provoking, and stunningly illustrated story. 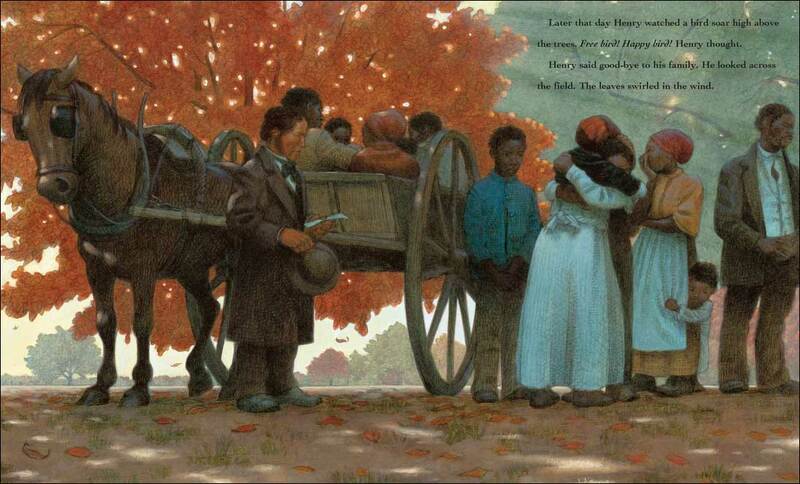 What makes it all the more magical is that it's loosely based on the true story of a man who escaped slavery by mailing himself to freedom inside a wooden crate (An author's note at the back shares what happened to Henry 'Box' Brown later in his life.) 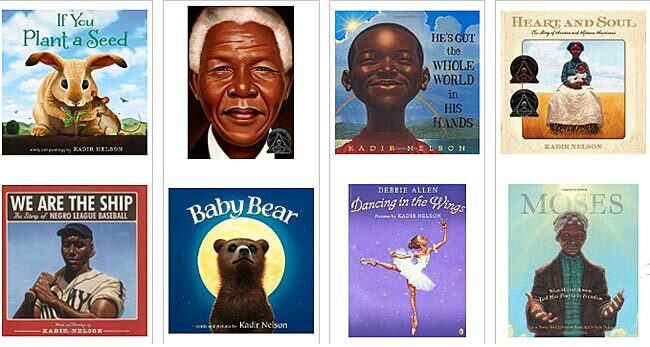 Illustrator Kadir Nelson has truly captured the humanity and emotions of the characters. Moving! 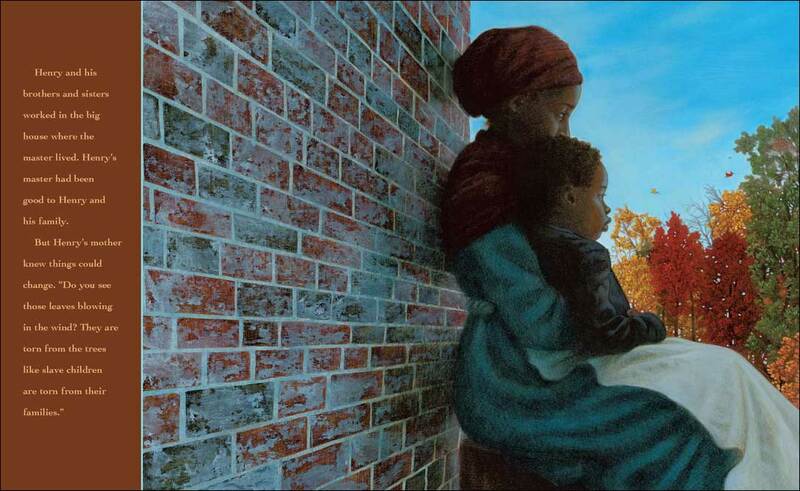 This is an inspiring anytime read, but would be ideal for units on slavery and the Underground Railroad. 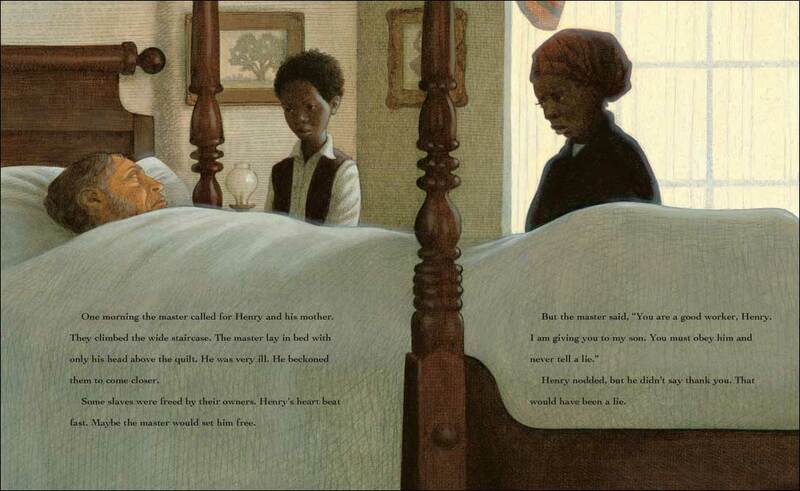 Below are two sample pages from inside Henry's Freedom Box: A True Story from the Underground Railroad. What a beautifully illustrated book! The left is a portrait of the main character, Henry, as a child and the middle page shows Henry visiting his sick master, who had called for him. Henry wondered if perhaps the master would set him free, as some slaves were freed upon the death of their owners. Sadly, that was not why he was called to see the master. On the day you are going to read this book to your class, bring in a cardboard box barely big enough for a person to squeeze inside. Write "Handle with care. This side up." 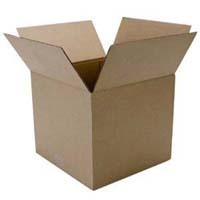 on the front of the box and then place it in a prominent place in the room. Within seconds of seeing it, students will want to know what's inside. Brush off the question. You want them to study the box and remain curious. Later in the day, read the book. Some students will quickly get that the mystery box is related to this story. If they mention it during the reading, you can acknowledge it, but hold off the discussion until the end of the book. When you are done with the book, ask the students what they were doing at __ am/pm yesterday (calculate 27 hours back). Move the box to the center of the room at this point, if it isn't visible. Ask them to consider what it would be like to be shut up in that box since ___ yesterday (fill in with "your soccer game/you left school..." / however the students answered the 27 hours question). Remind them that some of the time they would be upside down, and that if they coughed, sneezed or were somehow caught, their life was in danger. Discuss. Ask 'How much would you want freedom to be willing to do this?" This is a powerful story, and hopefully bringing in the box and helping students put themselves in Henry's shoes will help drive home the already powerful message.